1941 Chevy Bus by Resin Motor Replicas. Body, interior with seats, rims / tries, and floorboard. 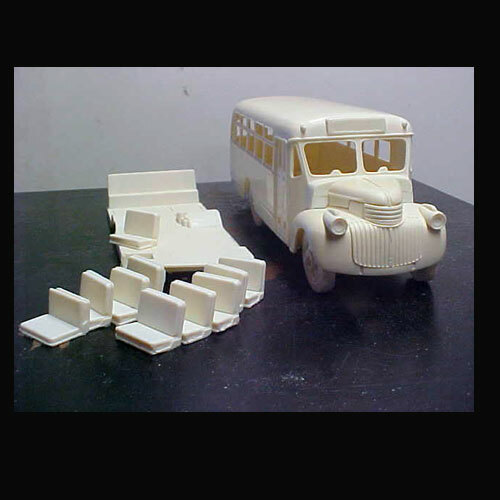 This resin model / body may require a Heavy Truck model kit or a Light Truck model kit for donor parts to finish. Kit is available at Race Motor Replicas.